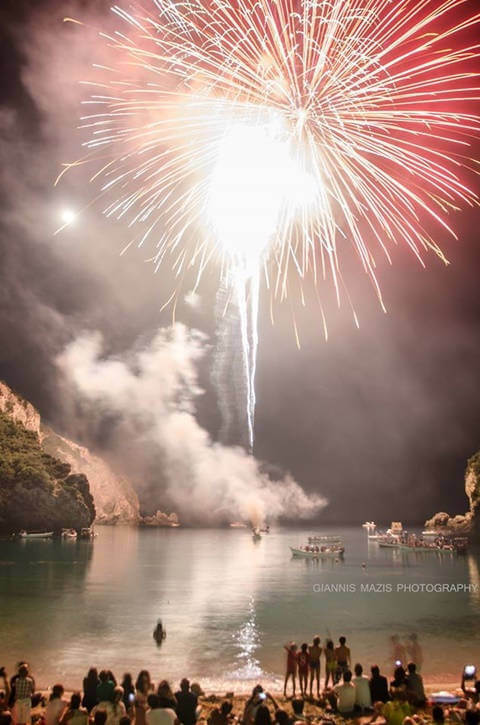 Varkarola is a famous festival that is held in Corfu every summer. 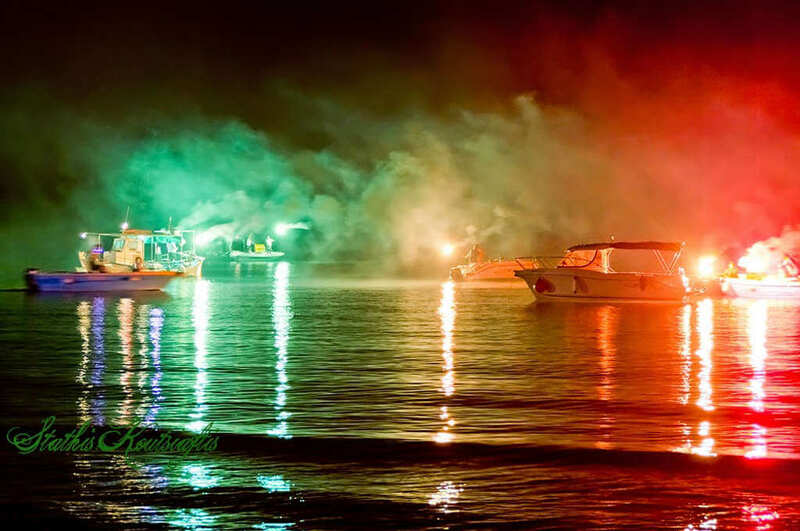 This event celebrates the miracle of Saint Spyridon, as the locals believe that it was the saint who saved the island from a Turkish siege on August 11th, 1716. 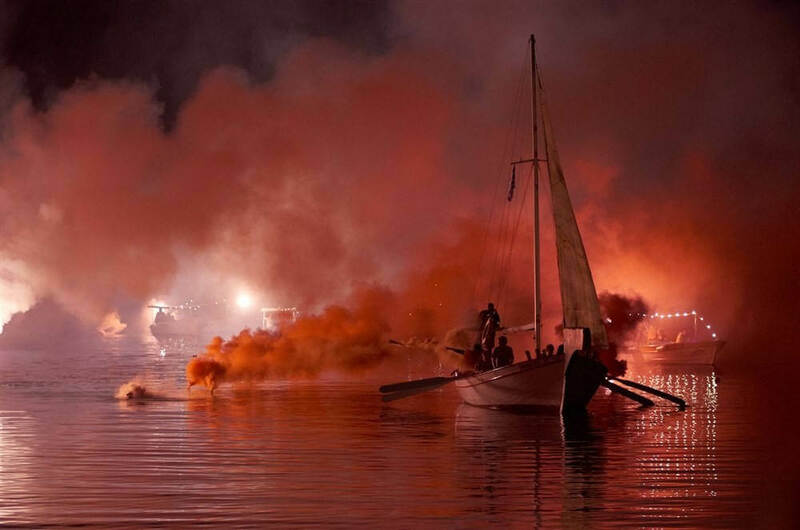 That is why they celebrate this miracle with a representation of the nautical fight. 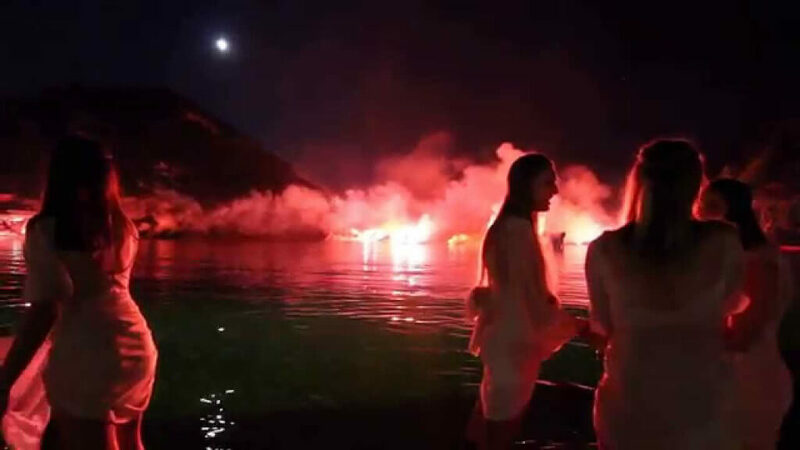 Varkarola takes place the closest Saturday to August 11th. 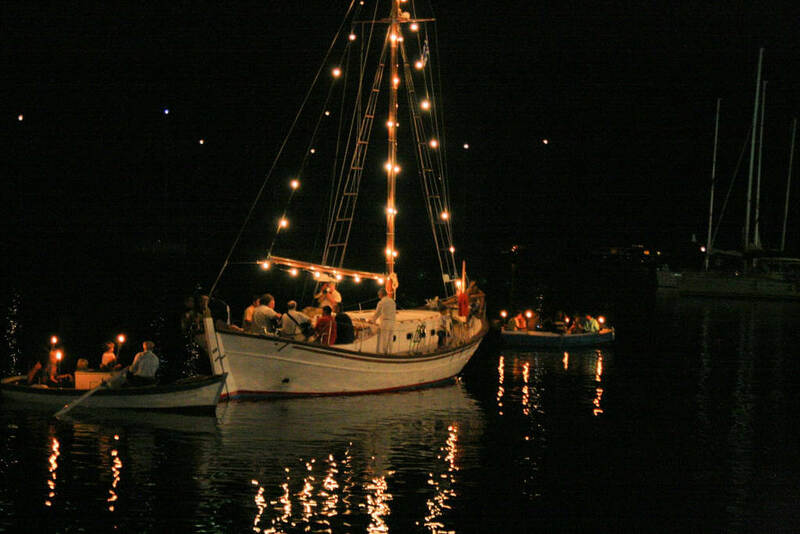 Once it was held in the bay of Garitsa, Corfu Town, but now it takes place in the bay of Paleokastritsa, northern Corfu. 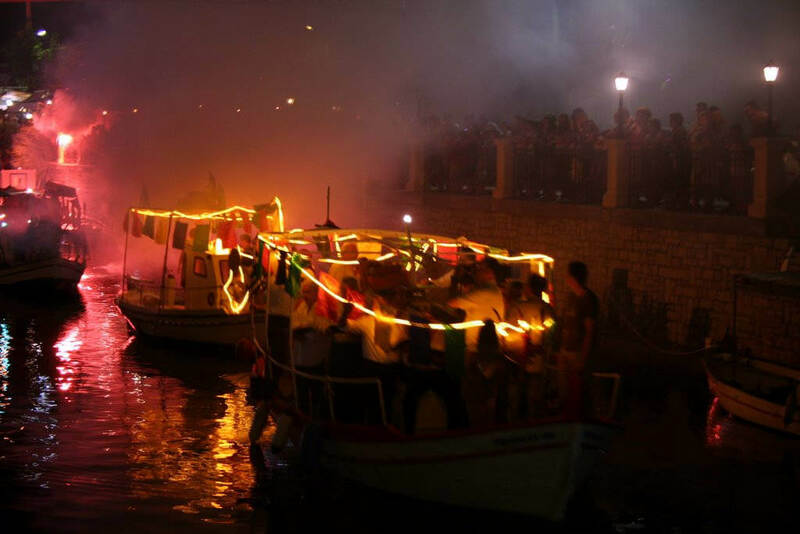 A series of boats parade along tha bay, while bands play traditional music and dancers present local dancing. 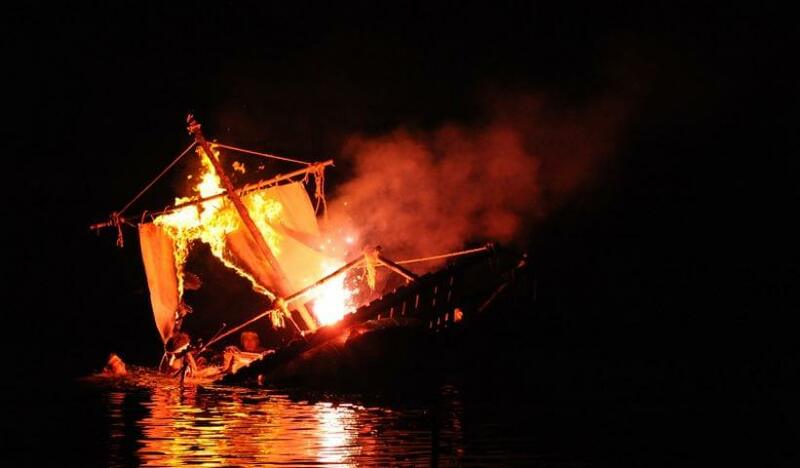 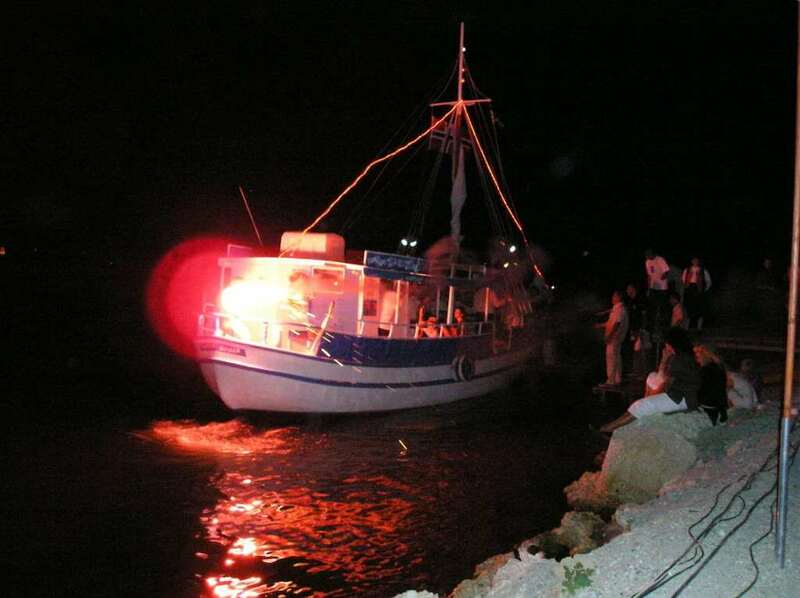 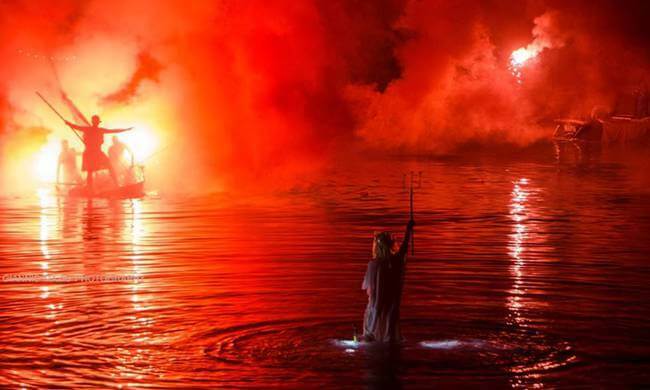 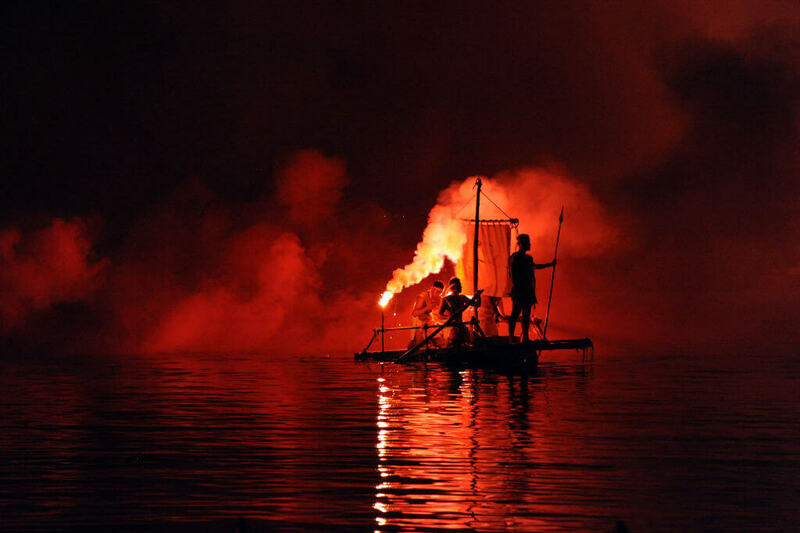 At the end of Varkarola, a boat is set on fire and fireworks explode to commemorate the burning of the Turkish naval during the 17th century siege. 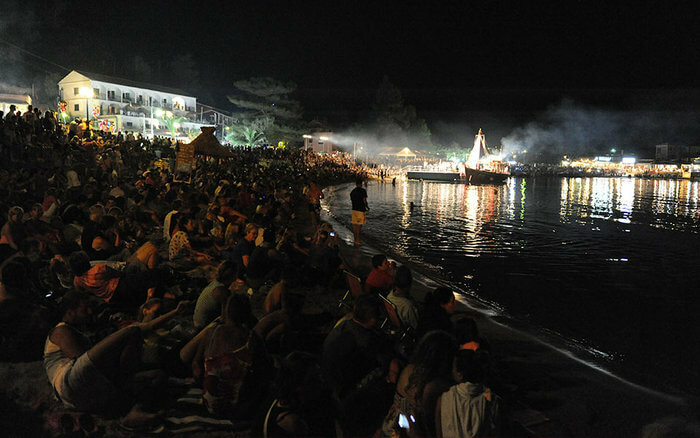 Lots of people attend the festival and enjoy the Corfiot night that is lit by the amazing fireworks.